This Afikoman bag is designed with a colorful and artistic image of the Jerusalem skyline. 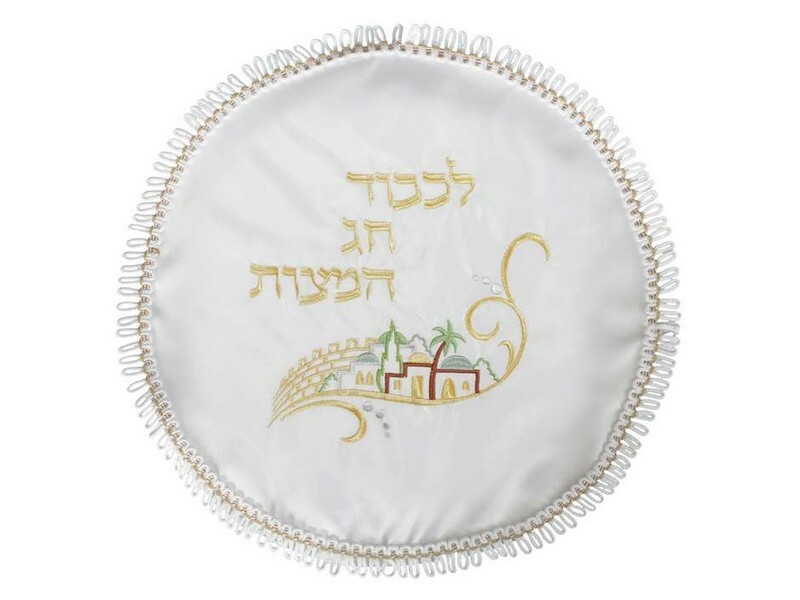 The Hebrew word “Afikoman” is embroidered above the image. The bag has a zipper on the top. 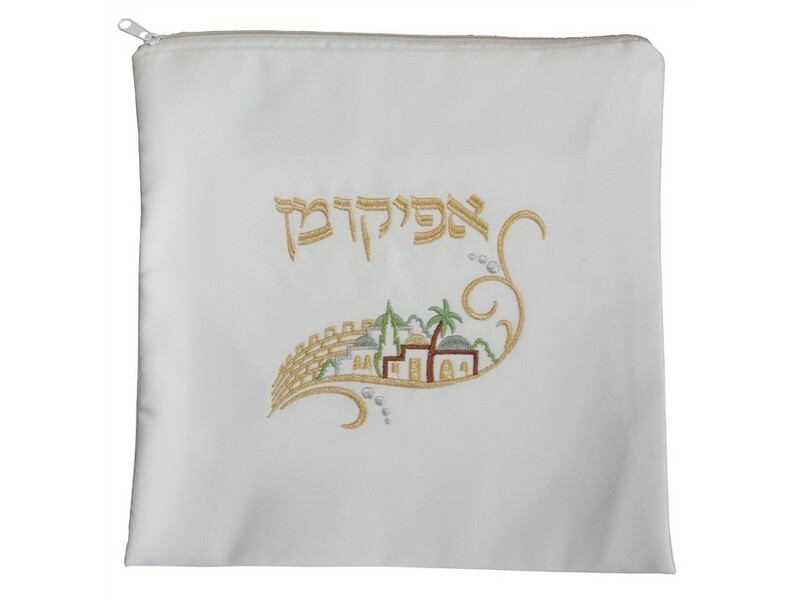 The Afikoman bag is used to store the piece of broken matzo until the end of the Seder, when it is eaten.